Most individuals do not know that cars are assigned symbols and certain rates. The insurance services office establishes the ISO symbols. This symbol gives indication to the insurance industry the possible value or the insurance value of a vehicle. The lower the symbol, the lower the premium for comprehensive and collision coverage. The higher the symbol the higher the premium, the difference in symbols can result in hundreds of dollars of additional premium. Remember that symbols only have bearing on rates for comprehensive and collision. Your other coverage is usually based on other multiple factors. However, there are companies like Young America Insurance that will increase your premium for bodily injury and medical payments based on the car symbols. For a lower symbol you might apply for no down payment car insurance. The following example is based on a 40-year-old single female residing in Florida, with prior insurance and a clean record, using the 4 model cars above. Each car has ABS, dual airbags, and a passive alarm. The illustration below is an example of the difference in premium. 2017 Ford Explorer XLT 2017 Toyota 4 Runner LTD $2,635 a year $3800 a year Difference of $1,165 a year. If you multiply these differences by 72 months of financing, it can add up to thousands of dollars. 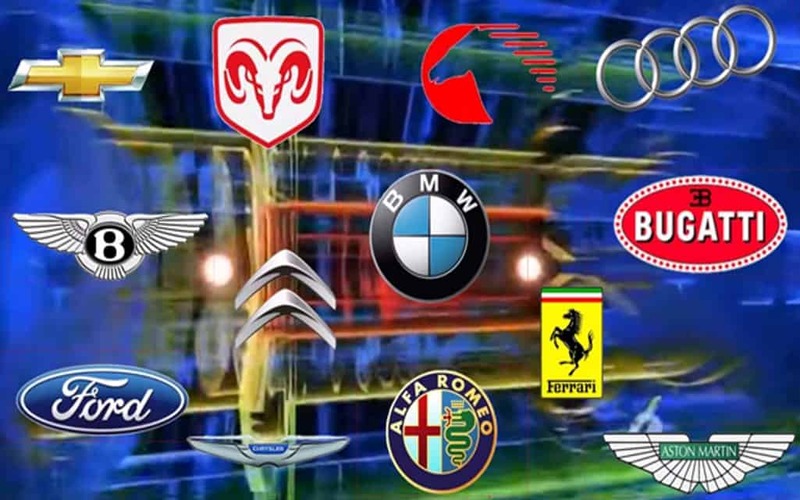 When you shop for a car, you should call your company or agent to see what the symbols are for the vehicle. The difference in symbols for various vehicles could be the difference of hundreds of dollars a year. Below is a sample chart of various Symbols for the year 2017. The buddy system is one way a person with prior insurance can help another friend or family member get lower rates. It can also be two individuals getting a joint policy to receive a multi-car discount. Let’s look at this example. Suppose John just bought a car after having his license for 3 years. John will not qualify for a transfer or prior insurance discount with any company for at least 6 months. Mike asks his friend Bill to become a co-owner and driver on his insurance policy. Because Bill does not own the car, he is not responsible for any operation of the vehicle. Mike uses his address and not Bill’s address for the policy because the vehicle is registered at Mike’s address. Bill can be listed as co-owner and driver if he plans on driving the car and paying any part of the premium (if Bill only pays $1.00 a month that would be sufficient). John can now use Bill’s declaration page for a prior insurance discount. This can save John up to 25% on his auto insurance premium. If John lived in Florida or another high auto insurance rate city, this could be a substantial saving. John’s premium before prior insurance and John’s premium after 25% prior insurance discount could about $1500.00. So just as a friendly gesture by Bill, John can save $1500 a year. Six months earlier before John bought his new car; Bob could have added John to his auto policy as a driver. Some companies will give you transfer or prior insurance credit if you are a driver on someone else’s policy. 6 AIPSO 2017 RATE MANUAL for six months prior. The only thing you have to do is supply a copy of the policy showing you as the driver. Sue’s car 2018 Lincoln Town car full coverage $2,100.00 a year Carol’s car 2017 Ford Crown Victoria full coverage $1,900 a year Total Annual Premium for Both Cars $4,000 a year Minus Discounts. Total Premium minus Discounts $2,600 a year that is a savings of $1,400 a year. Of course, both of our examples communicate the understanding of how prior insurance and other discounts can save you hundreds of dollars a year. When you use the buddy system for lower premiums, there are additional things you need to know. If you do a joint policy and retain your own policy, like John and Paul, both policies must have the same limits of liability. Some companies will charge the whole policy with surcharges for accidents and moving violations. You must know the driving record and claim’s history for anyone you decide to buddy with. If accidents or moving violations happen after you buddy, you can get separate policies at renewal. John sure the violator is surcharged on their policy. With two cars on one policy, both cars should be registered at the same address as the auto insurance policy. Drivers can sometimes be licensed at different addresses. It’s best to have the same address for both. On the policy, you can state that one car is garaged at a different address and mail received at another address. It is important to stay consistent. For the prior insurance discount, the joint policy only needs to exist for six to twelve months for either driver to get the discount on separate policies. It should not be difficult to find family members who might want to help you and maybe save 20% to 30% on their auto insurance premium. At your next family reunion ask your aunt, uncle, or cousin to help you. If you live in an apartment building or complex maybe one of your good neighbors will partner with you. The fact that you have the same address is a plus. There is one very important thing to remember with the buddy system. The insurance company will only send one bill. The bill must be paid on time and in full.